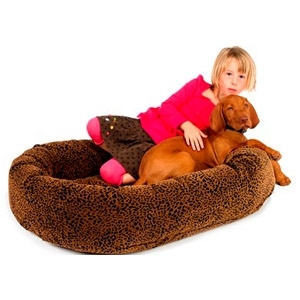 Our Tall Tails 3 in 1 Blanket Bed is the ideal resting spot for your loyal companion. This product offers a nest to snuggle into, a pad to lay on and an opening to crawl and burrow inside. Made with the same high quality materials and construction as our blankets and throws, this item will sure to be your dog's lifetime favorite. Treat yourself and your loyal companion to warmth and comfort wherever life takes you. 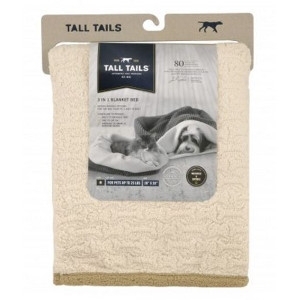 Tall Tails blankets and throws are completely machine washable and dryable to maintain a clean, healthy environment. Bring along for a familiar soft surface when traveling or drape it over furniture for stylish protection. 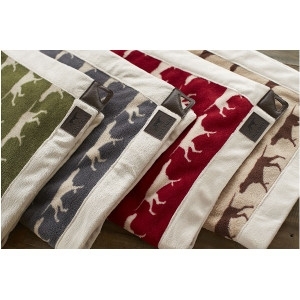 Everyone in the home will enjoy the luxury and warmth of a Tall Tails blanket or throw. The oval ring creates the feeling of security pets love, while the removable tufted cushion can be used as a crate or travel mat. The circular tufting creates an elegant upholstered look while ensuring fibre does not clump or shift when washing. Decadence Defined! Bowsers has doubled up on all the features of their best selling donut bed design ! The upper bolster is finished off with piping to create an elegant, sofa look. The removable orthopaedic foam insert and top tufted cushion provide the ultimate in support and comfort. Zippered covers for easy care. Many Fabrics to choose from.